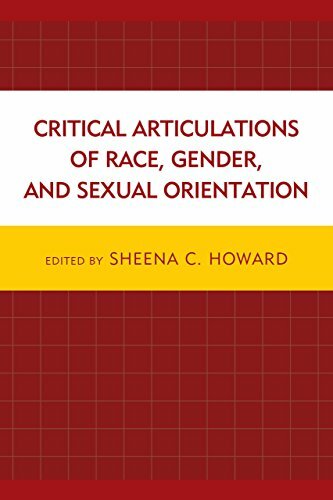 Critical Articulations of Race, Gender, and Sexual Orientation engages scholarly essays, poems, and creative writings that examine the meanings of race, gender, and sexual orientation as interlocking systems of oppression. Each chapter in this volume critically, yet creatively, interrogates the notion of identity as socially constructed, yet interconnected and shaped by cultural associations, expanding on the idea that we as individuals live in an identity matrix—our self-concept, experiences, and interpretations originate or are developed from the culture in which we are embedded. The shaping of an individual’s identity, communication, and worldview can be read, shaped, and understood through life, art, popular culture, mass media, and cross-cultural interactions, among other things. The aptness of this work lies in its ability to provide a meaningful and creative space to analyze identity and identity politics, highlighting the complexities of identity formation in the twenty-first century.